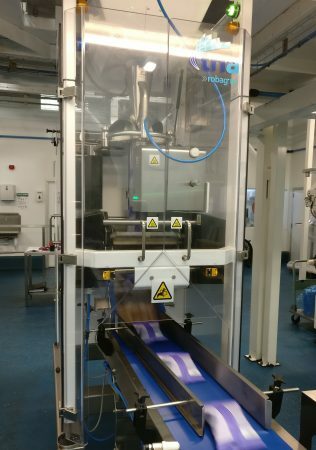 Gourmet chips manufacturer, Pipers Crisps Ltd, has doubled its packaging capacity and reduced waste thanks to the installation of high-speed packaging solutions from tna. The new installation has enabled Pipers Crisps to increase productivity, while maintaining the highest level of product quality through enhanced seal integrity. Based in Brigg, Lincolnshire, United Kingdom, Pipers Crisps was established in 2004 by three farmers who joined forces to produce great tasting, quality chips using local potatoes. Today, its award-winning products, recognized nationally for their unique and bright packaging design, are distributed throughout the UK, as well as exported to Europe and the US. Following a period of impressive growth in the past two years and rising popularity of its products, Pipers Crisps needed to add new packaging lines to its existing packaging fleet to cope with the additional demand. With existing equipment achieving throughput speeds of only 80 bags per minute (bpm) for its smaller bags, Pipers Crisps needed to substantially increase bagging speed. The premium chips manufacturer opted for two tna robag® FX 3ci – vertical, form, fill and seal (VFFS) packaging solutions. These high speed baggers feature the world’s shortest vertical product transfer from the scale to the pack, helping to maximize packaging performance. 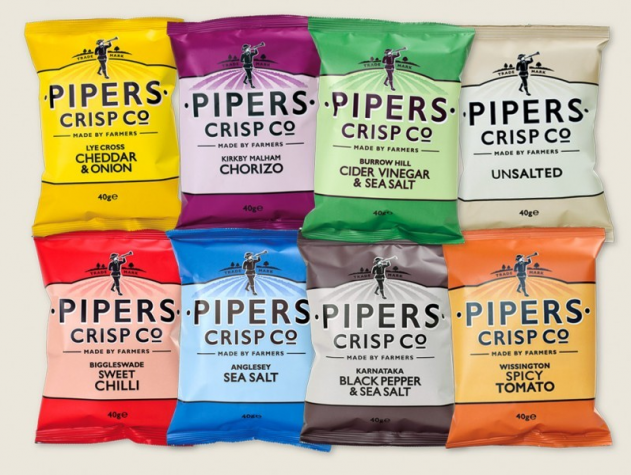 The new setup allows Pipers Crisps to package a variety of bag sizes at speeds of up to 140 bpm, resulting in a 75 per cent increase, in line with the company’s capacity uplift. Catering for a variety of snacking occasions, the chips manufacturer needed a packaging solution that could switch between two different pack sizes – 40 (1.4 oz) and 150 grams (5.3 oz) – of high quality pillow bags, without lengthy changeover times that would slow down or even stop production. With its lightweight formers, unload assist and twin film spindle, the flexibility of the tna robag FX 3ci makes changeovers fast and easy, enabling operators to easily switch from one bag size to another on the same packaging line. Pipers Crisps Ltd opted for two tna robag® FX 3ci – vertical, form, fill and seal (VFFS) packaging solutions. The Pipers Crisps brand is renowned for its premium positioning. In such a highly competitive market, quality is crucial to help differentiate brands on retail shelves. It was therefore important that the chosen packaging solution could maintain seal integrity and reliably produce high-quality bags that do not compromise the shelf life of the product within it. With its innovative rotary jaw design and advanced sealing technology that offers improved seal performance at high speeds, the tna robag FX 3ci proved to be the perfect solution. Featuring patented stripper tube closures, the completely integrated packaging system allows for better control of the product through the packaging and filling cycle, therefore helping to control dust generation and minimizing crumbs in the end seal of the bag. The tna robag FX 3ci was also customized with product-in-seal-detection (PISD) software that monitors product in the seal and jaw area. If seal integrity is compromised, the system immediately alerts the operator so that bags can be quickly removed from the line for further inspection. That way Pipers Crisps is able to ensure that each bag meets the highest quality standards while keeping waste to an absolute minimum.